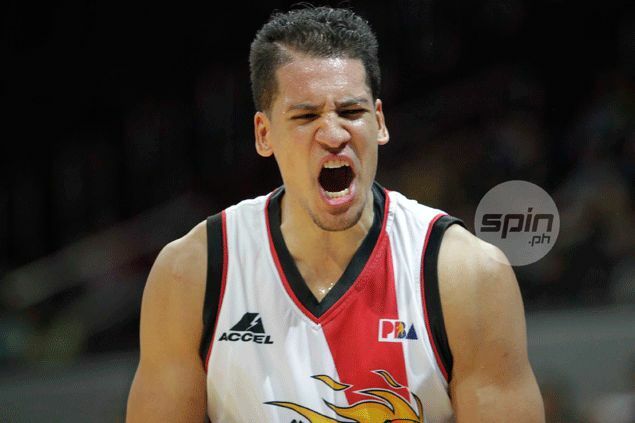 WITH San Miguel Beer zeroing in on the Philippine Cup championship, Marcio Lassiter has vowed to go all out to finally complete some unfinished business. Lassiter was denied a first career PBA championship in his first two trips to the finals, first with Powerade and later with a Petron Blaze (now renamed San Miguel Beer) team that lost to San Mig Coffee (now Purefoods) in Game Seven of the 2013 Governors Cup title playoffs. The last one hurt more than the other, Lassiter said, since it denied him of what he had hoped to be his 'wedding gift' to wife Jerlyn. “It was the most frustrating for me,” recalled Lassiter. 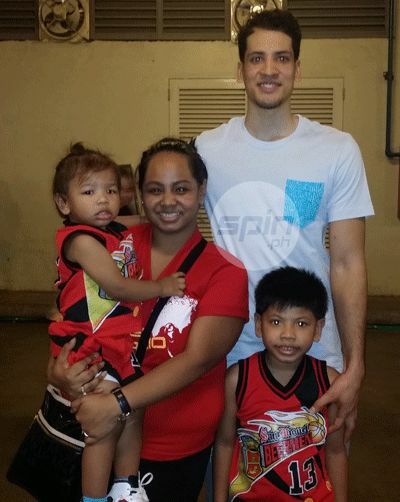 Mrs. Lassiter said: “The Petron loss hurt the most for him, because our church wedding was right after, and it was Game Seven. I was in the States then, he was very down. He was just very disappointed, but he had no choice not to be happy because our wedding was a week away. The wedding was held in San Francisco. “But you can tell, he felt he came up short. He wanted to contribute as much as he could, but they felt short as a team … But it’s okay, he learned,” Jerlyn told Spin.ph. Lassiter, a rookie when he starred in the Cinderella run of the Powerade Tigers to the 2011 Philippine Cup Finals where they lost to Talk 'N Text, 4-1, said the failures have made him more determined than ever to nail a first championship. “I learn from my mistakes. This is a team game and we just have to play as a team, there’s no time to relax. We must make sure we come out and play our game,” he said. “Every time there’s a chance (being in the finals) you want to win, you just don’t want to let every opportunity slip. We got here as a team, we will win this as a team,” added Lassiter. The sweet-shooting Fil-American guard bared that since he donned the Gilas Pilipinas jersey in 2010, it has been his mission to win a crown which has proven elusive for the No. 4 pick of Powerade in the 2011 rookie draft. He hopes to finally get the job done in Game Six on Sunday. “We have to make sure we come out with the same intensity, we must not be carried over in our game. Alaska is a great team, they’ll never die down,” he said. “We must learn from the mistakes we did,” added Lassiter, who won championships with the George Washington back in high school and with the Cal State-Fullerton in college. “I just keep doing extra work and play within the team. Coach Leo (Austria) is doing his job well, we’re gonna dress as a team, and we’ll gonna win as a team,” he said. Lassiter struggled in the first three games of the best-of-seven finals but has since hit his stride, averaging 13 points, 3.5 rebounds and 3.5 assists per game in the series. For Mrs. Lassiter, it is an exciting time as Lassiter looks to finally take care of unfinished business. “The championship in 2013 could have been a bonus for us. But it’s water under the bridge now, we’re looking forward to this series and I am sure it’s going to be special this time,” said the mother of two.